There are currently 117,861 users on this website. Yes, I know, I've been neglectful in posting; but just haven't acquired anything lately, till now. 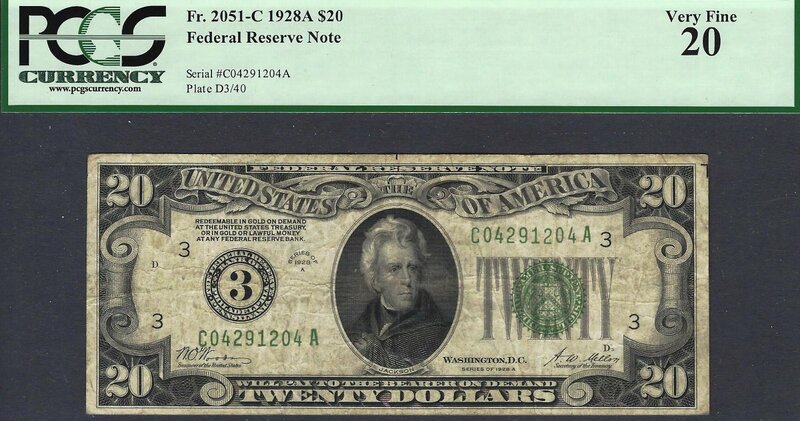 With this note safely tucked away in the collection I need only the L-B block. tech - Nice one. Numericals rule! 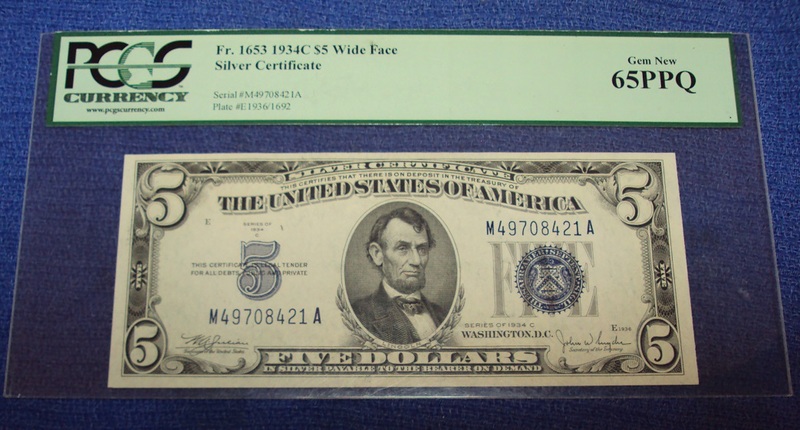 hi, just added this 1934 C $5 silver certificate to my collection today. When I saw Tech's 28A $20 FRN it got me wondering what triggered the decision to have that note encapsulated. It can't possibly add to the value, could it ? Not sure. It's a '28-A, and these are a lot tougher than the '28 Plains. Picked this up for my $20 FRBN set over the weekend. 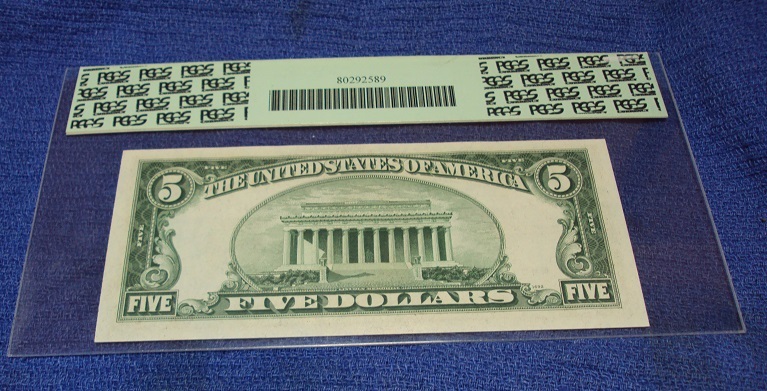 With a print run of 1.6M, Richmond is a fairly common district, but the note gets expensive in higher grades. This is nice and crisp with deep embossing and pretty decent margins all around, good shot at 65 I hope. Picked this up for my $20 FRBN set over the weekend. 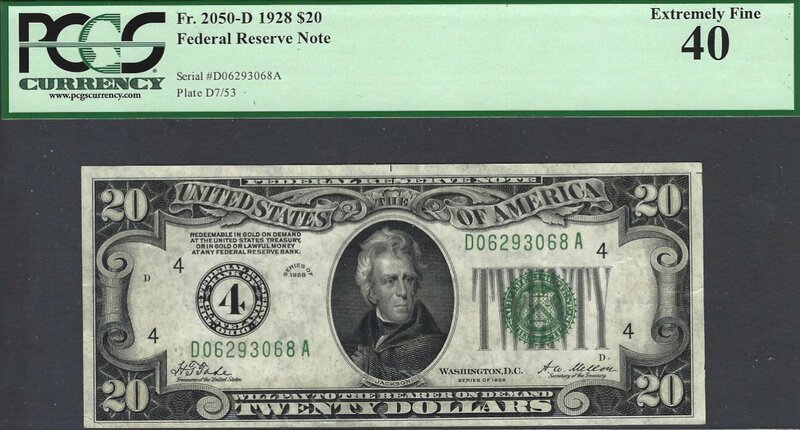 1929 $20 Richmond FRBN, nice addition Mr.Frog. What's that I'm seeing above "States" on the upper back margin ? Pencil mark ? Eagle eye! Interesting, no idea. Just left it at the bank this morning. Will check next time I'm there. Turns out it's still here. Moved to a new stiffer holder. Perhaps a hair on the original photo (not one of mine, since I have none ).